@kokodus I think the lens are all the same for all AR games? This drama got me all confused, is Seju really dead because of the game? who else made the game with him that it turned this way? is it his friend Marco Han who will show up later? or he's gonna show up searching for Seju cuz he's missing?! I really hope he isn't dead, even Jinwoo seems like he's gonna be dead at the end?! someone needs to save them from the game? will it be Heejoo?! even if electric signals are not taking over reality, there is the basic fact of this being a game.. and these games are multiplayer games..
so at what point are you just a game login id and when ar eyou human. The very real problem as on today too, where people start interacting in real world too because they got acquainted over games.. you want to stop others, you don't like someone.. so many reasons. Original Article: [osen] 'Memories Of The Alhambra' Hyunbin 1 Year Later, Shocking Shooting.. What Happened To Park Shinhye? 1. +557, -13 Seriously the plot is fresh and funㅠㅠㅠㅠIf only I watched the second half! 1. +194, -3 It's similar to what happened to Sejoo!!!!!!!! What's going on!!!! Just finished watching the two episodes today there is a Westworld feel here except that the game venue is a real city and not a man made theme park. I’m a little confused by a few things. How did Seju create a game that is compatible with the lenses? Wouldn’t he need complete access to the technology behind the lenses in the first place? When Seju is shown watching Jun Woo at the expo in Barcelona it seems like the lenses are just being launched and not yet commercialized , so how does Seju a 17 year old living in Spain know so much about a top secret product created by a multi billion corporation in South Korea? Why does Jun Woo seem more shocked that Cha Hang Seok is part of the game considering he knows Seju was already in touch with his rival and not by the fact that he has a pair of those lenses not yet in the market? Even with these head scratchers the drama does look interesting and I hope things will get more clarity as the story progresses. I think it might be that the episode 3 preview of the lady with the red veil and guitar who looks like Heejoo is supposed to be a character in the game, Seju probably used his sister as an inspiration for a character within the game. Interestingly in the last 5 minutes, so it’s a year later, JW is fully immersed in MoA world and the game is commercialsed judging by how nobody on the train reacted to JW flaying around? What were the ratings for the second episode? 1. Clearly train is game stage and seems like terrorist setting. People in the train were sleeping peacefully so don't seem affected by all of this. And that means, noone really dies in the game. 3b parallel timeline was made clear atleast. So night time, EXO guy calls HB, HB books the ticket right then and flies to granada at night, checks into the hostel. Same night he plays the game. 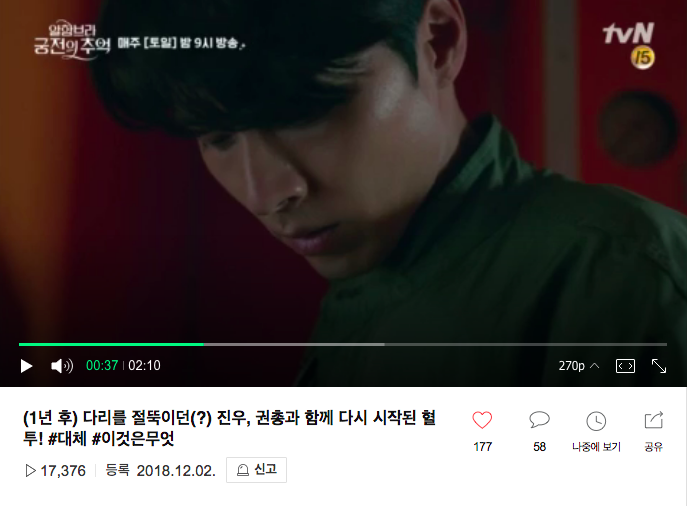 By morning, he goes to station to find the programmer but that's the morning scene we say in ep 1 from game persepctive.. so def last scene is probably towards the end of drama when it will play again and rt now we are witnessing how he reaches that stage.. and probably feels like dying and thinking about the whole adventure..
4. Ultimate purpose doesn't seem like saving the princess, so i wonder. Could it be something like this game that was in news a few years back - the game drove people to commit suicide. So maybe in wrong hands, game can persuade people to kill others. Cha doesn't seem like the main villain. There is someone else , hidden - maybe the baseball player from prison playbook. Jung Sejoo, our genius programmer was mysterious as hell. I was hooked the moment he was shot in the train. His noona Jung Heejoo, our low key hostel owner got criticized by our annoying but lovable hero. Awww...I felt bad for her but I can see where Yoo Jinwoo is coming from. But then again, no one forced him to stay in her hostel, right? Cinematography/ CGI were top notch and musical scoring was handled well. 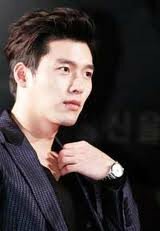 Not for nothing Hyun Bin is so handsome! Not completely sold on this yet. I will say that TVN is really winning these days. The quality of their shows are just amazing! Haha from deadly serious (really goosebumps when he shouted at PSY) to comedy my Hyunnie can still pull this comedic act, still look cool and cute! My I am in for another best drama of the year — Mr Sunshine and Hundred days plus this from TVN . He is a CEO and he slaying handsomely. For the 2-episodes wow so smooth, musical score perfect, the actor exchanges spot on, the venues and plus this is augment reality. There’s big money in here. PS Chanyeol’s portion if not pulled off properly will not bring justice to the drama! 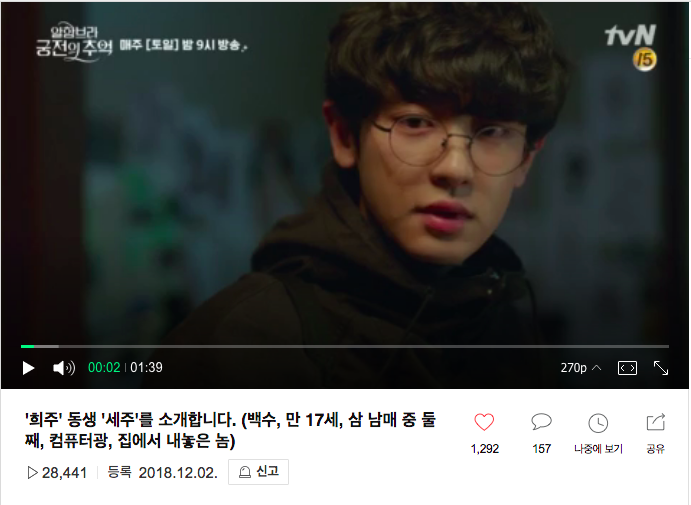 So my “son” Chanyeolie thanks for taking this role and slaying it. I am hooked with your acting (ajumma fan is looking forward to another drama for you). I am bias for you, one of my EXO sons but with Hyunnie here I’ll go with Hyunnie! hahaha! 14 years and he never failed me —from Bodyguard, Ireland, Snow Queen, Sam Soon, Secret Garden, Friend, World’s Within, Millionaire’s first love, Late Autumn, fatal encounter, confidential assignment, negotiation, swindler and Rampant — I am a super fan! hahahaha. Edit: Btw, Are we watching a movie? Oh my cannot distinguish the story and the game anymore. Editing and cut so good. I want the next episodes to come.